Specialized launched the first Stumpjumper back in 1981 and its been the stalwart of their line up ever since. Now 37 years later the legend is reborn in its newest incarnation - the 2018 Stumpy. 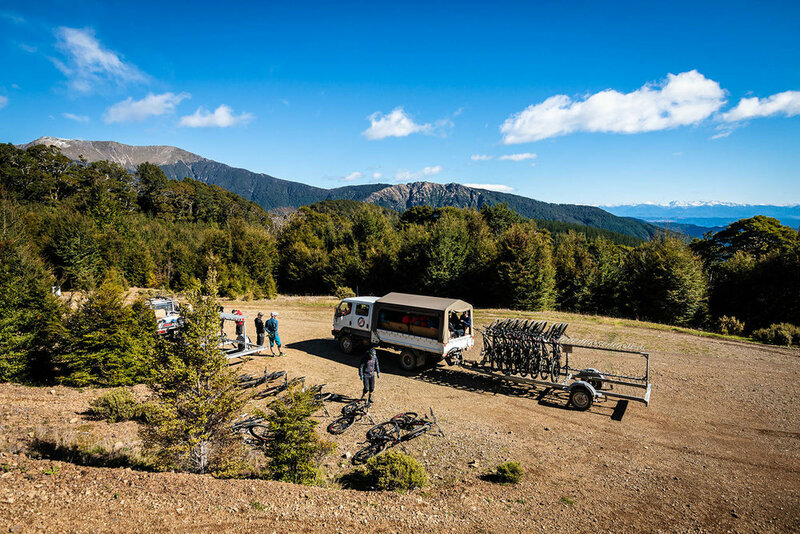 The Specialized engineers started from scratch with the new Stumpy and put in over two and half years of rigorous R&D to make it the best it could be. The most noticeable change is the new sidearm frame construction. Taking inspiration from Loic Brunni's World Championship winning Demo, the cut away frame design is a beautiful piece of engineering and gives the Stumpy an unique and aesthetically appealing new look. The main design goals were to increase stiffness and lower weight so that the new Stumpy could be pushed into burlier situations yet retain its nimble trail feel. Step in the new sidearm design which directly connects all three mounting points of the rear-end and shock to the frame, significantly increasing stiffness and performance over bumps. One of the criticisms of the previous Stumpy was that it was a bit short on reach and in the midst of the current longer, slacker trend I was worried that Specialized may have gone down the route of a few others and made a monster truck for folks with the arms of an orangutan (yes, i'm not a fan) but thankfully this was not the case. That said the new geometry is fractionally slacker and longer (20mm on 27.5 & 12mm on 29er) but by utilising a smaller 45mm stem the Stumpy retains its agility while giving the detractors exactly what they asked for; more reach and less stem. In another major step Specialized have dropped their Autosag rear shocks, opening up a new era for them in tunability and kinematic possibilities. 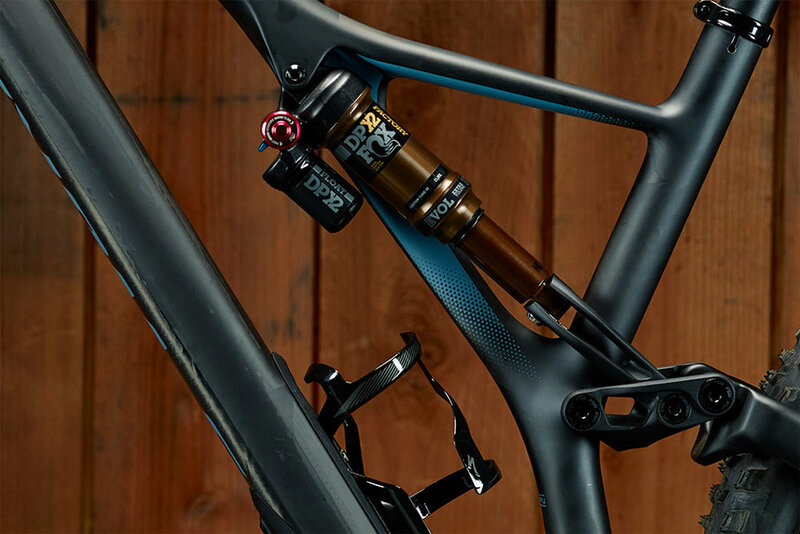 They've worked closely with both Fox & Rockshox to hone the new Stumpy's suspension platform for each model. Now without the extra clutter of the autosag mechanism, they can make the most of the latest bigger negative chambered shocks to enhance the bikes mid-stroke feel and support. This was a huge plus for me and a move that dramatically improved the bikes handling. And they've gone metric! Flip Chip - allows you to tweak the frame geometry (more upright and taller) very quickly . There are two settings, high and low, and when you “flip the chip,” you effectively change the bottom bracket height by 6mm and the head tube angle by half-a-degree. All models come as standard in low as do all the geometry stats! New internal cable routing - Simple and easy with new full length tubes, just push in the cable and it will appear at the other end and has the bonus of getting rid of any dreaded internal rattling issues. Chainstay & Downtube protectors - A new downtube protector is a welcome addition especially for the carbon models and the space-age looking chainstay protector apparently stops your chain bellyflopping into the stay, for a smoother, quieter ride. Anti-bellyflop nubs dampen out any slap, looks weird but they really do work! 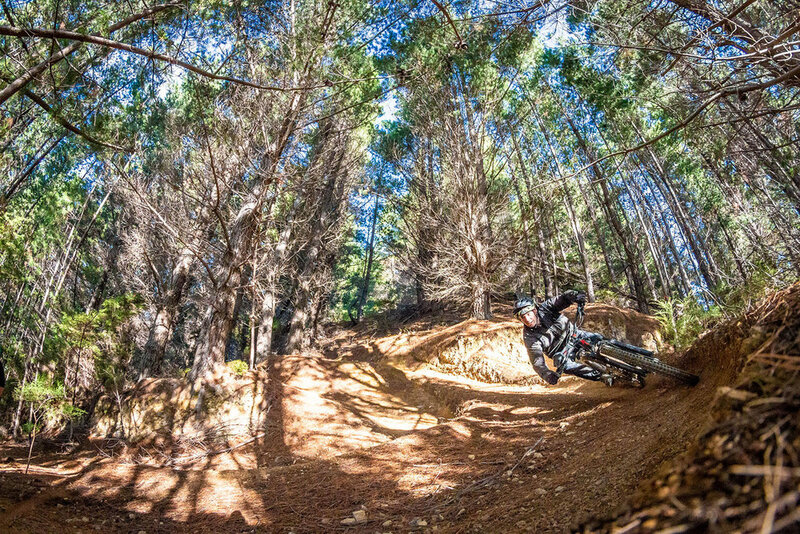 SWAT Storage - Specialized's internal storage system remains and gets a 20% increase in size, so you can go even more enduro. The Stumpjumper remains a dual-class offering, available in both 29 and 275 options, but within each of those classes are three distinct species - The Stumpjumper, the ST and the Evo. This is the strongest represented of the three versions and will be available in New Zealand in four men's model options for both wheel sizes - The S-Works $13.5k, Expert $8.6k, Comp Carbon $6.2k and Comp Alloy $4.4k. Plus one women's specific model - Comp Alloy $4.4k. The Short travel (ST) is predominantly a 29'er model with only one model of 27.5 (Alloy) offered, 29 has the same four models plus an entry level Alloy - The S-Works $13.5k, Expert $8.6k, Comp Carbon $6.2k , Comp Alloy $4.4k and Alloy $3k. And in women's models there's - Comp Carbon, Comp Alloy and Alloy at the same pricing. 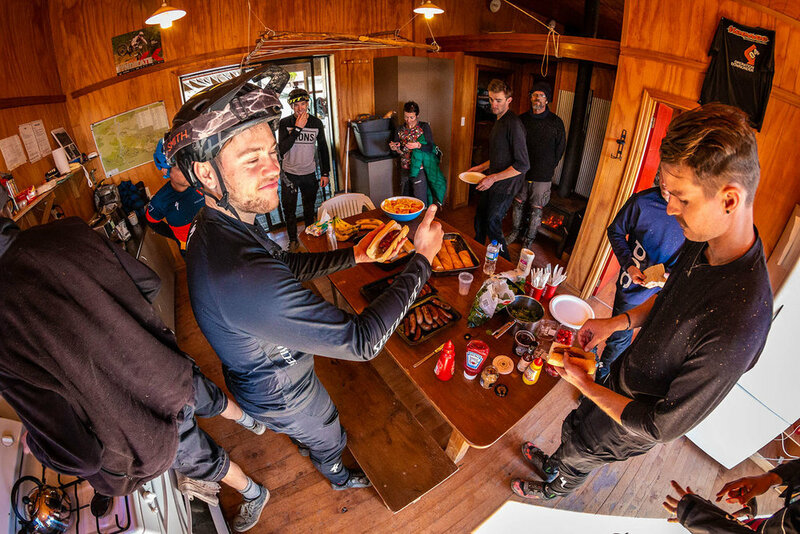 Specialized have brought back the Evo, for those who want to get really rowdy on the Stumpy and we imagine there will be a lot of happy fan boys out there. It's only going to be available in two alloy models (a 29er & 27.5) and it has a new sizing system with only two choices (S2 or S3) but it has some seriously aggressive specs (below). Not much else is known yet so keep an eye out for pricing and more news at your local Specialized retailer. 465mm reach and 63.5 head angle on a 27.5 S2 - wow! Ok so after all that what did we think? 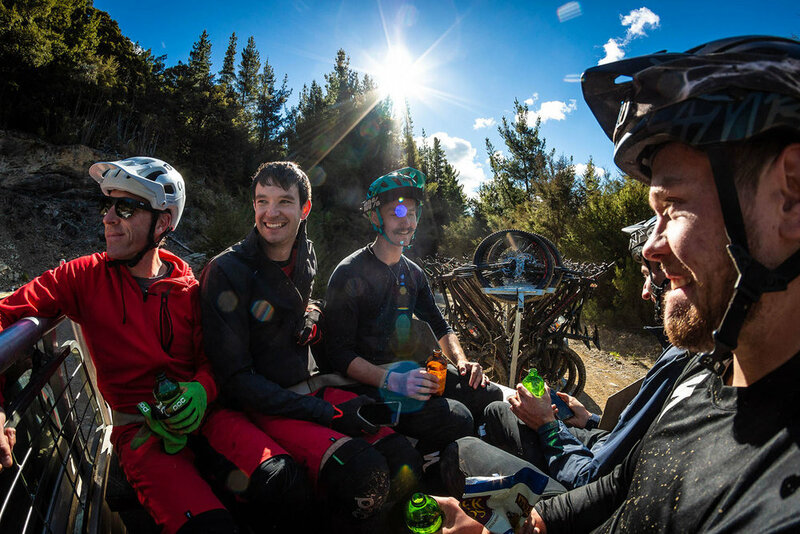 Yes, a bunch of Australasian retailers and ambassadors had the chance to throw their legs over a new Stumpy last week at the trail Mecca that is the Wairoa Gorge. With so many people to cater for we were all set up on the standard Stumpjumper in the Comp Alloy model, in mix of 29 and 275. I grabbed my go-to 275 size and while slightly forlorn not to be on a carbon version, I realised that this was a great chance to put the $4.4k model through it's paces. This will be a high volume seller for a lot of retailers with its sharp price point and a staple for a lot of our price conscience readers. The spec was remarkably good for the price point - A Fox 34 Rhythm and DPS air shock provided the 150mm's of cushion and Shimano SLX had us covered for stopping and shifting. Everything else is pretty much in-house Specialized, the pick of it being the alloy Roval Traverse 29mm internal rims fitted with a 2.6" Butcher tyre on the front and the same size Purgatory on the rear. Off to the shuttle and after a short warm up trail to iron out any teething problems – like too much air pressure in the tyres– we were off and running down one of the Gorge classics - Benched as. Straight away the bike felt lively, quick and firmly planted although a bit loose in the front end. A quick pit stop to add a little more air to the fork and drop tyre pressure more and it was on to Chase the Orange and Kurtology. Now I was starting to find my groove and really enjoy the Stumpy, the rear suspension was working a treat, in fact the whole rear end just felt perfectly balanced. By the bottom of Quatro I was smiling ear to ear and more than impressed with the new Stumpy, even more so at the $4k version. We managed another 3 laps before we ran out of daylight and energy and I continued to bond with the bike all the way through, whether it was on the fast flowy trails or the more technical native forest ones. Obviously a few flat out runs in a place like the Gorge is too short and too biased a test window to give a comprehensive review but my first ride impressions were that: I'm a big fan of the new geo, as an advocate of slightly shorter reach bikes the Stumpy has always suited me, but the extra 20mm reach and shorter stem felt very natural and had me feeling a bit more aggressive on the bike. However the biggest improvement that I felt on the day was the suspension platform, the new shock configuration had the bike's kinematics and balance feeling incredibly dialled and harmonic, this is a big step up on the previous model for me. So as I had a beer with the everyone at the end of an epic day, my imagination was left to wonder how good would it feel in Carbon with the DPX2 shock? or maybe should I have tried it in 29? We will be doing a full in-depth review of the new Stumpjumper for the next issue of Spoke, which is out in June so keep your eyes peeled for that. Amazingly the new Stumpjumpers are hitting stores today, so rather than listening to me rant on and looking at images get down to your nearest Specialized store and check one out. Specialized NZ will also be touring the country over the next couple of months with their demo fleet if you feel the need to try before you buy but if you can't wait just go grab the latest version of this 37 year old legend.